If you could travel in a Time Machine would you go back to the past or into the future? I would prefer to stay in the present. Revisiting the past changes nothing, and seeing your future will take the fun out of presence, for knowing the future does not allow appreciation and enjoyment of the present moment. So, I will not use the Time Machine. If you could invite any 5 people to dinner who would you choose? Albert Einstein for injection of intelligence, Coco Chanel for a touch of timeless glamour, Richard Branson for dream big fear not atmosphere, Amelia Earhart for an adventurous twist, and Casanova for a late night sensual entertainment. If you were stranded on a desert island what 3 things would you want with you? A book to entertain me, a friend to share the beauty of the island and the night starry sky, and my wits to help me to find my way back home. What is one book everyone should read? To my mind there is no such book exists. Books are like souls, and reading is a very personal experience. Each of us is drawn to books/souls that resonate with our own soul. Therefore, there is not a single book that will resonate with all souls on this planet. If you were a superhero what would your name be? My name would still be Serafima for it has all the superhero elements in it: strength, power, dare, brightness, and intelligence. The meaning of the name Serafima is A Fiery Angel. If you could have any superpower what would you choose? To transform the universal light into energy and give it to people. What is your favorite flavor of ice cream? I love Russian ‘Plombir’ (pronounced Plum Beer) - the ice cream that has a subtle vanilla flavour. Every time I eat it, it makes me happy. If you could meet one person who has died who would you choose? I do not normally ‘date’ dead people, I prefer alive and kicking. What is your favorite thing to eat for breakfast? I shall say it’s tea. My breakfast varies depending on my mood and the state of my body, but tea is my absolute favourite breakfast item. Night owl, or early bird? An early bird with a hedonistic streak. One food you would never eat? Never say never. Please tell us in one sentence only, why we should read your book. For the experience of exhilarating ride and for the pleasure of being tricked at the end. Any other books in the works? Goals for future projects? I do have plans for another 3 books. And since I have some leanings towards being ‘Prada’ in writing, all of my planned books will be unique and different. Expect the unexpected. What inspired you to want to become a writer? I do not think one becomes a writer, I believe one is born a writer. Tell us your most rewarding experience since being published. The most rewarding experience is being read, knowing that every time some one picks my book and starts reading it, an interaction between my soul, which equals to my written creation, and the soul of a reader takes place. If you could jump in to a book, and live in that world… which would it be? I would not like that at all. I believe in being me and living in my own world. Jumping into a book would force me to assume a personality of one of the characters in it and abandoning my own, and that is something I would like to avoid. What is your dream cast for your book? I have entertained the idea of My Trickster being turned into a movie and of course I have tried to imagine the best cast for the book. One thing for sure, Angelina Jolie would be a perfect actress to play the main heroine – Angela Moreaux. What was your favorite book when you were a child/teen? My favourite book from childhood is ‘Dunno‘ (Know-Nothing) by Soviet children’s writer Nikolay Nosov. This was my very first book that I ‘read’ at the early age of 4. I loved its illustrations and strange symbols, letters and words, that I studied for hours trying to figure out how they were all connected. Then I would take it to my father and ask him to read it to me. And while he was reading it, I would memorize the story page by page, and then later, on my own I would flip through it and ‘read’ it reciting it by heart. Is there a song you could list as the theme song for your book or any of your characters? I would say that ‘All You Wanted’ by Sounds Under Radio is a good theme song for the book, and ‘No Fear of Heights’ is a good one for the main character – Angela Moreaux. What’s one piece of advice you would give aspiring authors? Have faith in your talent, in what you want to say, and in that if you have written something it means somewhere some one really needs your creation. Oh, and write for the sake of writing, as in art for the sake of art, not just for making money. If you could choose only one time period and place to live, when and where would you live and why? I would live here and now. I would not want to live in any other place or period. I trust that I am where I need to be right this moment, so why to wish for another period or time? If you could be one of the Greek Gods, which would it be and why? I think it would be Aphrodite – the Greek Goddess of love, beauty, pleasure and procreation – all the things I admire and promote. If you could live anywhere in the world where would it be? I have travelled a lot and lived in a few places. There is a big difference between visiting a country and living in one. If I could live anywhere in the world I would shuttle between these countries/cities – London (quirky international place), Stockholm (an authentic and genuine atmosphere), Seychelles (an extraordinary beauty and warmth), and North Italy (magical sensuality of the Italian lake district). On the practical side – London is very tolerant and business orientated, Stockholm offers good social benefits, Seychelles have wonderful climate, and North Italy has a joyful and tasteful lifestyle. When you were little, what did you want to be when you “grew up”? My first dream was to be an Artist. My parents thought it was a nonsense idea since they could not get their head around at what type of a profession it is. My second dream was to be an international reporter travelling and broadcasting news from hot spots around the globe. If a movie was made about your life, who would you want to play the lead role and why? I feel that two actresses would suit for the lead role in the movie about my life – Ava Gardner and Elena Guseva, both equally great. Ava is so sensual, elegant, and mysterious, and Elena is so versatile and a real character. Actually if the qualities of these two actresses could be married into one then this would be a perfect one to play the role. How did you know you should become an author? I did not really know it. As far as I remember I have always loved books, words and writing. It is just that until recently I was not ready to properly acknowledge my own talent and share my writings with wide audience. But now I do, and that is why I have written my first book, ‘My Trickster’. Who are your favorite authors of all time? I grew up reading classics, Russian ones at school and English ones at the University. So, obviously I was greatly inspired by them. My favorite Russian author is Anton Chekhov, one of the greatest writers of short stories in history. He used to say: ‘Brevity is the sister of talent.’ And my favorite English author is John Fowles, a master of mystification in modern literature. Can you see yourself in any of your characters? Yes, of course. Angela Moreaux, the main heroine of My Trickster book, is partly drawn from me. Her predicaments are very much my predicaments and lots of traits of her character are the ones that I display. The predicaments and dilemmas she faces during the story are the ones I have faced in my life on numerous occasions. What’s the craziest writing idea you’ve had? The craziest ever was to share a sensation of making love with another person through a written story. However, the idea never materialized since the other side’s sensual perspective clashed with my own. What’s the best advice anyone has ever given you? Focus on yourself. Hidden talent? All my talents are very much on display, unless of course there is one I am not aware of and that is why it is hidden, but then it is up to others to see it and point it out to me. Favorite Food? I love all food. I do not really have my favourite food, my tastes differ depending on occasion and my mood. Favorite Candy? Dark bitter chocolate (70% or higher). What movie and/or book are you looking forward to this year? I very much like Woody Alen movies, so the one I was looking forward to was ‘To Rome With Love‘, which I have just seen. Another one is ‘The Hunger Games’ – my absolute favourite this year. In terms of books I have put the following one on my wish list: The Graphic Canon, Volume 2. It gives a visual cornucopia based on the wealth of literature from the 1800s. What was your favorite children’s book? My favourite book from childhood is ‘Dunno’ (Know-Nothing) by Soviet children’s writer Nikolay Nosov. Nickname? My favourite nickname was ‘Dudka’, this was the name I called my mother. I still do not know what it means and why I did it. How do you react to a bad review? I don’t think there are bad reviews. There are just different opinions and perspectives. Tastes differ, so do reviews. But if I receive a bad one, then I see what I can learn from it, if anything at all. If you were a bird, which one would you be? I would be a swan, for I admire their grace and beauty. If you could have a signed copy of any novel what would it be and why? I would have really loved Alexander Pushkin (1799 – 1837) to sign a copy of Evgenii Onegin and also draw a little memorable sketch to go with it. You have won one million dollars what is the first thing that you would buy? I would buy a beautiful house, renovate it to my taste, and then invite my artistic friends to spend time there and throw parties for them. What do you do in your free time? I read, travel, talk to my friends, write, and dream. If someone wrote a book about your life, what would the title be? I have already written a book about my life – My Trickster. It encapsulates major things and traits about me. What’s your favorite season/weather? My favourite season is autumn. I love its bright colours, the smell of fallen leaves, the rich palette of autumnal fruits and vegetables, the crisp air, the drizzling rain, and the morning frost. Who or what inspired you to become an author? It was a man called Robert Forrester, whom I met in New York in autumn 2010. 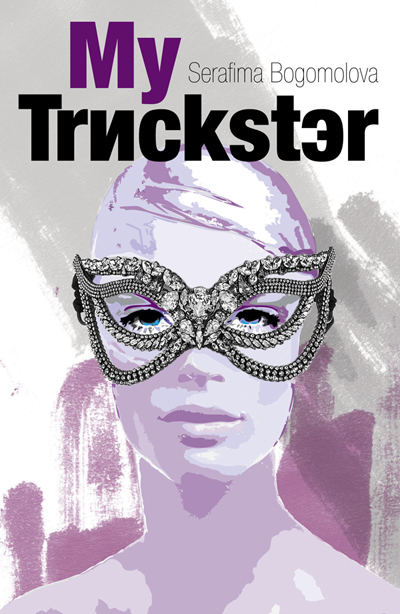 He dreamt a dream that prompted me to start writing my debut novel ‘My Trickster’. How did you celebrate the sale of your first book? I raised a glass of Amaretto Disaronno over Skype with my friend who witnessed the ‘birth’ of the book. Favorite places to travel? I love Italy. I have been there many times, and I am never tired of this country. Each city, each town, each village offers a wealth of sensations and curiosities. Favorite music? That one that touches my heart and makes my emotions soar. In your wildest dreams, which author would you love to co-author a book with? No one. I prefer to be the one and only.